Dusit’s signature award-winning Thai restaurant, Benjarong, serves authentic Thai cuisine in a unique space that fuses contemporary style in an elegant setting with traditional Thai design motifs. With recipes that have been passed down over generations, Benjarong brings the best flavours and tastes of Thailand to Abu Dhabi. Our Chefs highly recommend the Wok Fried Chicken with Capsicums, Dried Chilli and Cashew Nuts. 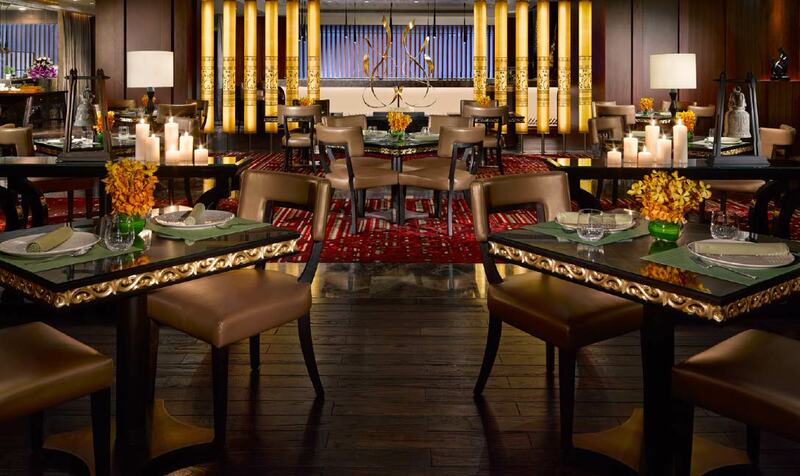 Also, a separate cozy lounge is located within the Benjarong restaurant is a designated indoor smoking area.